Synopsis: Hercule Poirot’s quiet supper in a London coffeehouse is interrupted when a young woman confides to him that she is about to be murdered. She is terrified – but begs Poirot not to find and punish her killer. Once she is dead, she insists, justice will have been done. Okay, I have one thing to tell first. I have never read an Agatha Christie book before. If i’m getting to read some books of her, I will probably change my opinion about this book. 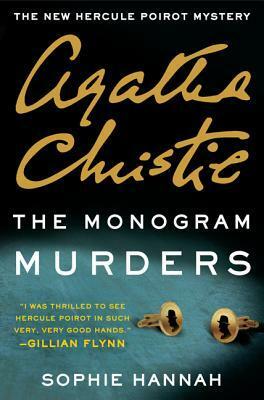 It is written by Sophie Hannah, who tried to create a new Poirot mystery. I am not loving this book. I definitely have to read some Agatha Christie books to see how good she is, but this mystery by Sophie Hannah did not really do it for me. The plot didn’t sound bad, but could have been executed better in my opinion. The beginning was fine, with a clear view of the setting and slow introduction to the case. The case of the three murders was explained good and still had my attention. Later in the story everything gets crazy. Too many things are happening and I couldn’t follow the plot anymore. Descriptions are too long and made me get bored, instead of making the place alive. Every new discovery made me feel like I wasn’t part of the detective at all, with new discoveries and new clues to the story that I would never have guessed or seemed logical. The end was the same. An explanation of the whole case, which was a massive pile of things/evidence that Poirot apparently knew from the beginning, made me even more confused. All the characters were intertwined and it made a very indistinct story for me. I gave this book 2.5/5 stars, which I found sad because I really love detective/crime stories.